Hard to get excited by these velocity gains. One could do the same with a .223 improved. Well that is the thing with these “marketing” cartridges. Better results are already possible with other cases and hand loading in a bolt gun will make is thing faster. 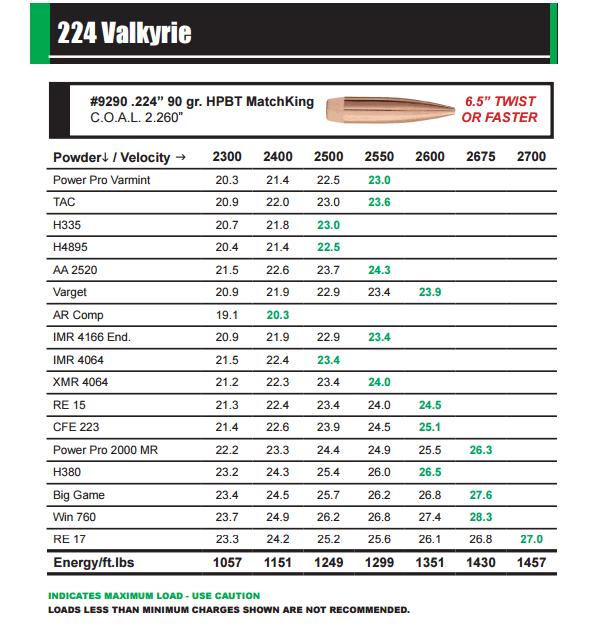 But, much like the Creedmoor, the Valkyrie is a triumph of marketing over common sense. Despite its col name, let’s see how long it lasts in the real world. In a bolt gun, sure; a 223 improved will do the same. In a gas gun, I don’t think so. That said, I’m also not particularly excited about this cartridge. It’s like the 6.5 Grendel: it just doesn’t make sense for me because I don’t own gas guns and don’t plan to. The annoyingly deceptive thing about this cartridge is that they are testing it on a 24in barrel. For an AR that is supper long and very unwieldy. The cartridge in a standard 16 or 18 in barrel will perform with a yawn and is unimpressive. 16in barrel is the most popular size for an AR15 right now. Not true, I’m getting faster MV than they list from a 20 inch barrel. I am shooting 224V XTC w a 24″ Krieger 1:6.5 bbl in a WOA space gun upper and getting at least sub 0.5 MOA from Fed box ammo. We’ll see when I start reloading if I can get 0.4 or 0.3 MOA using RL17 and SMK 90’s. It is an advantage shooting 90’s over 80’s at 600. I can;’t clean the target from 600 with 77’s or 80’s but the 90’s do. I think the cartridge is excellent and would be great for competing in windy courses. 224V may offer a small advantage over SMK 77’s in rapid fire strings at 300 depending on conditions. My impression after 600 rounds is that this would be a great round for using the modern sporting rifle in open country. 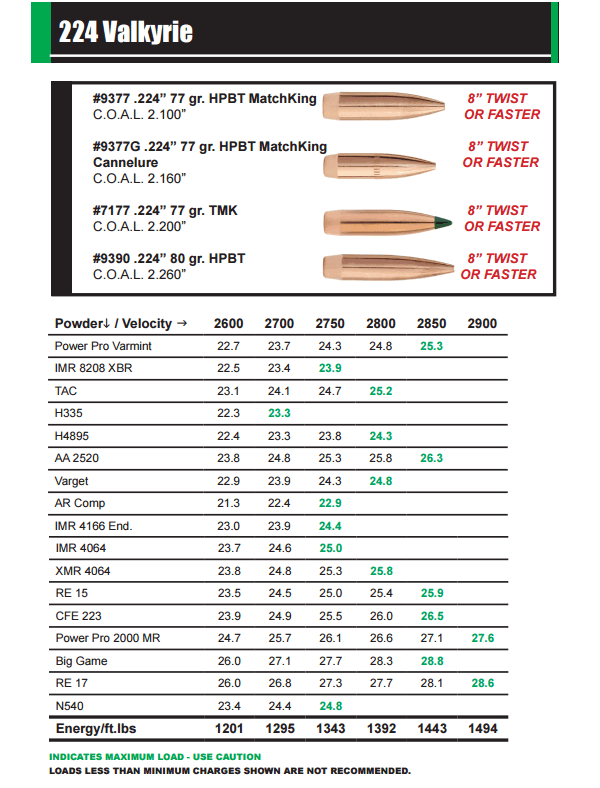 Like the other contributors here, I do not believe the 224V makes sense for any other purpose than extending the range of the MSR platform by using 90 and 95 grain bullets. 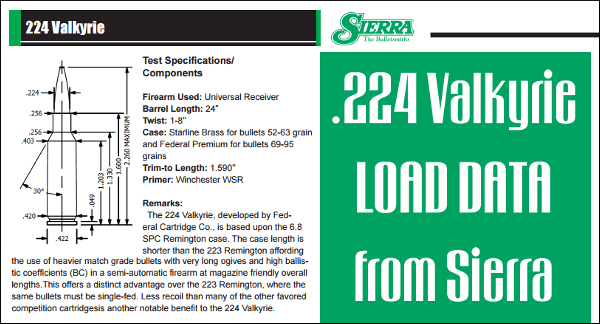 If you’re going to shoot 77’s or less and want increased velocities, get a 223 Wylde chamber. I also think it might have excellent military application for deployments in regions like Afghanistan and the ME where terrorists are known to stand off at RPG range where this round shines.